Like walls, the floors are often neglected when it comes to decorating a room. However, sometimes they are the missing piece in making a room “complete”. A rug can add that excitement factor to a room and really connect everything together visually. Basically, a rug is something that can really define a room and make it a room that people won’t easily forget (not mention be jealous of!). Another great reason to use rugs is the protection they offer. Rug’s not only look great but also act as a barrier between two hard surfaces, which without a rug in place, may scratch or damage one of the objects. A common example of this might be a rug under a dinner setting (table and chairs etc…) where constant chair movement would normally scratch a hardwood floor. 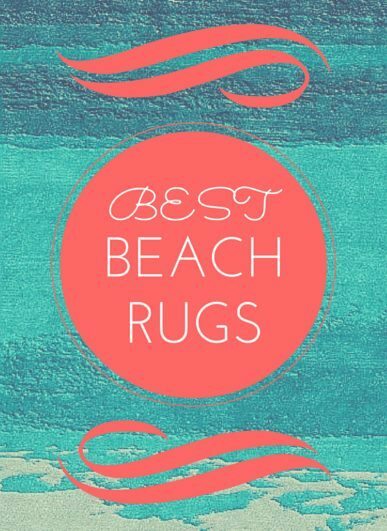 Today we are going to run you some great rugs we found with a beach/nautical theme which are sure to help you find some inspiration! 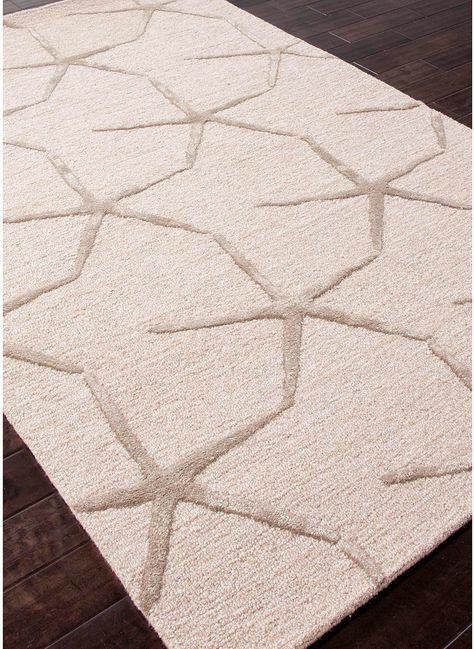 A simple design featuring a starfish pattern has become quite a popular rug. This stunning rug looks great on some darker hardwood floors (as you can see in the picture) due to its dull colors. What I really love about this rug however, is the interesting patterns that are created through the joining of the starfish “arms” (not sure if that’s the right word there). There are some really cool designs hidden in there and is something I could stare at for hours. 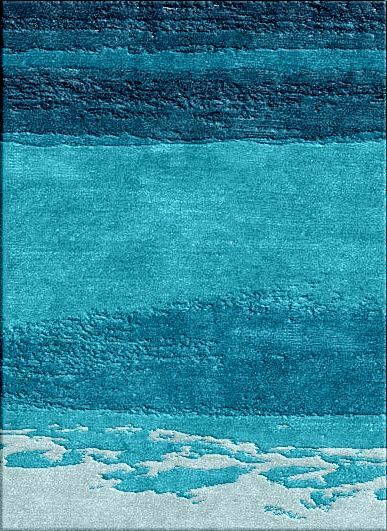 For more of a “popping” rug that is really going to draw the eyes attention, you are going to need something like this gorgeous blue seascape rug. Perfect for use on lighter floors, this rug is going to really make the room it occupy’s a really relaxing haven. Just looking at it I can visualise the soft lapping of the ocean’s waves. 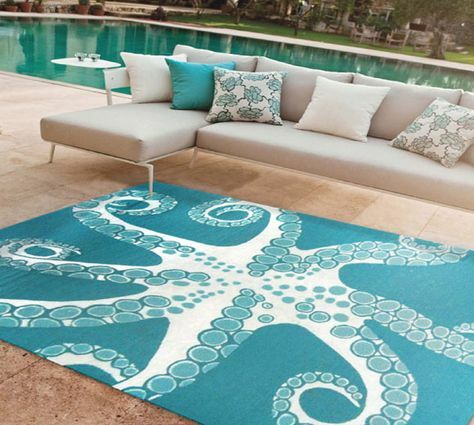 Another eye drawing rug with a really cool design is this stunning octopus rug. Unlike most octopus decor, this one is positioned from the bottom view, giving it the effect that a giant octopus has “sucked” onto the bottom of your floor. Basically it’s a stunning rug that’s going to a real eye catcher. More of a Nautical style, this great rug from VintageRevivals shows us the four points of the compass in a very minimalistic style. As you can see, this rug works best with a dark background to rest on which really makes it “pop”. Now this rug probably looks pretty darn uncomfortable. I mean it looks like something you are going to have grimace and grunt every step as the rocks dig into your heels. 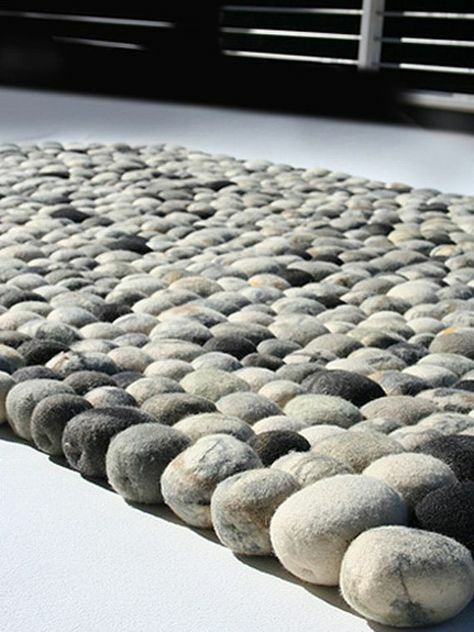 Luckily, this is just a fake pebble rug and actually instead is made of almost entirely wool. So not only is this extremely comfortable to walk on, it also looks great and really gives the home that beach feel.